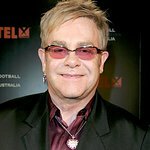 Rockefeller Foundation President Dr. Judith Rodin has announced the recipients of the 2013 Jane Jacobs Medal – Bette Midler and Ian Marvy. The Medals are awarded each year to recipients whose work creates new ways of seeing and understanding New York City, challenges traditional assumptions and creatively uses the urban environment to make New York City a place of hope and expectation. The Rockefeller Foundation Jane Jacobs Medal was created in 2007 to honor the author and activist who died in April 2006 at the age of 89. The Rockefeller Foundation’s relationship with Jane Jacobs dates back to the 1950s, when the Foundation made a grant to the then-obscure writer from Greenwich Village, for the research and writing of the book, The Death and Life of Great American Cities. Now more than fifty years later, Jane Jacobs’ work remains one of the most influential books ever written on urban design. 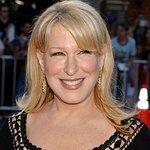 Ms. Midler founded New York Restoration Project in 1995 to partner with NYC Department of Parks and Recreation to clear trash and debris from Fort Tryon Park, Fort Washington Park and Highbridge Park. New York Restoration Project has helped transform Swindler Cove from an illegal dumping site to a restored environment that includes woodlands, wetlands and native plantings. In 1999, when then-Mayor Rudolph Giuliani sought to sell 114 community gardens to private developers, Ms. Midler and the New York Restoration Project sprang into action, raising money, donating time, and creating coalitions that successfully protected the 114 community gardens from development. In the process, New York Restoration Project became the steward of 55 community gardens throughout New York City. In 2007 New York Restoration Project partnered with the NYC Department of Parks and Recreation to launch MillionTreesNYC with the goal of planting and caring for one million new trees in New York City by 2017. They are ahead of schedule. For her stewardship of New York City’s green space, Bette Midler is the 2013 recipient of the Jane Jacobs Medal for Lifetime Leadership.